Winter is here and it is time to consider the fficiency and safety of our HEATING system. Nationwide we are expected to spend 58 percent more for heating oil this winter than last, 59.5 percent more for natural gas, 28 percent more for coal and 45 percent more for electricity, according to the preliminary winter fuel projection by the government's Energy Information Administration. The heaviest burden should fall on natural gas customers in the Midwest, the EIA predicts, with costs 71 percent higher than last winter. The high cost of staying warm starts in October through March. The energy Information Administration forecasts higher energy prices this winter. 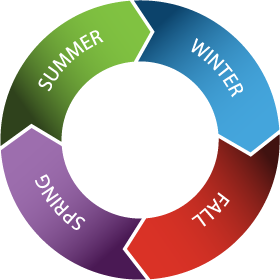 We at S&E Cataldi Heating and Air Conditioning are offering hour Heating season fall start up special in order to ensure your system's efficiency and Reliability. Efficiency gains offset growth in electricty demand, as higher energy prices encourage investment in energy-efficient equipment.